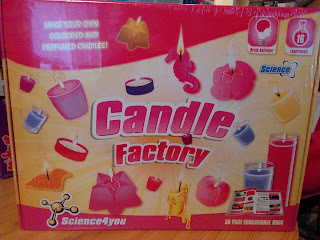 When we were asked if we'd like to review the Science 4 You Candle Factory, we thought it would be a great Bank Holiday Monday activity so whilst Daddy and Big Boy set up the Scalextric, Top Ender and I went off to make a candle or two. 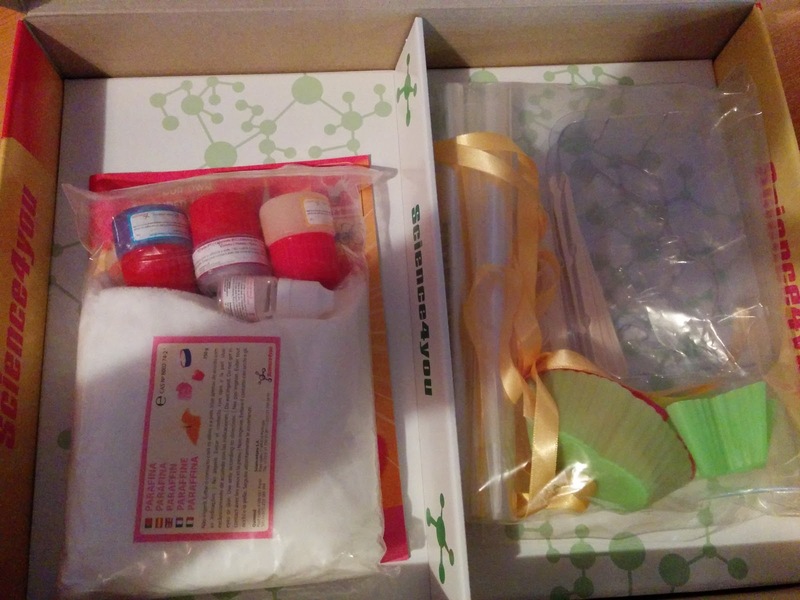 Top Ender really wanted to make the Heart Candle, so we read the instructions several times, checked over what we needed, gathered what wasn't included in the box and then set about making the Candle. Top Ender was a bit annoyed because the instructions told us that an adult had to do the bits that involved heat and being the good girls that we are we decided that we had to follow these instructions. We started by melting Paraffin Wax. Top Ender got all excited because she was pretty sure this was the same way that they were making Meringues in The Great British Bake Off the other week and she was sure that we were going to end up having a cake instead of a candle! Eventually the paraffin wax was melted enough that we could add the colouring and scent. Top Ender decided to pick a purple colour for the Candle and Apple for the Scent, both of which were typical choices by Top Ender and could have been predicted. It was actually really easy, and Top Ender with a little supervision is more than old enough to do this herself in the future, I don't think however she will do it on her own because it was so much fun doing it together and the questions Top Ender asked were brilliant and showed that she really was paying attention to the process of making a candle. 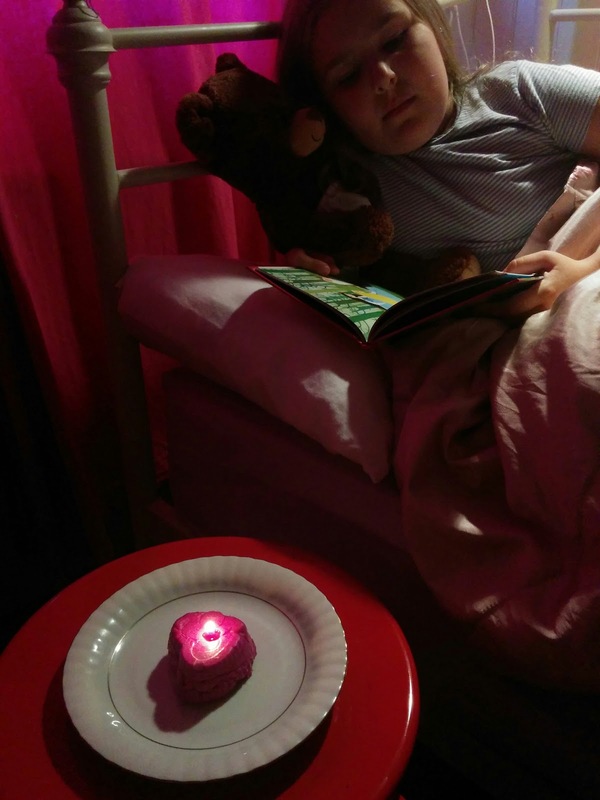 Whilst we waited for the Candle to set, we decided to have a go at making an Emergency Candle using a glass jar, a sheet of Kitchen paper and some Cooking Oil. I never realised how easy it was and Top Ender and I spent our time watching the flame thinking about how we could use this in a lesson about the parable of The Ten Virgins. I guess I just need permission from a proper grown up to do this in Church! 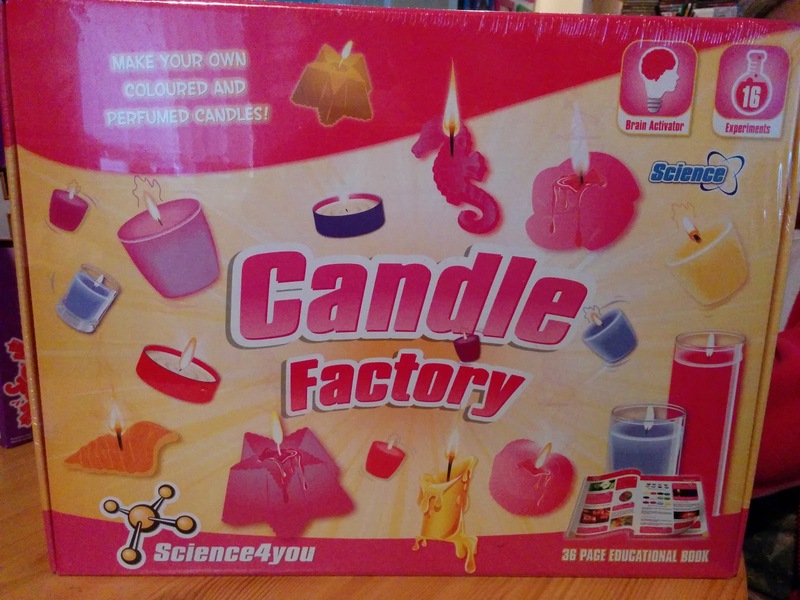 Eventually Top Ender got bored and wandered away and I was left sat reading the booklet (36 pages and a lot of educational material in there and ways for Children to have to answer questions by experimenting) comes with the Candle Factory set. 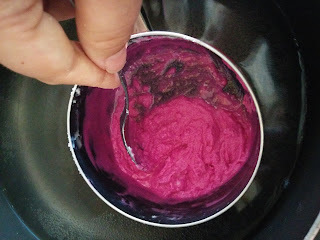 There are a few scientific experiments for Tops and I to undertake when we've made a few more candles and I think now we understand what we are doing we'll be making Candles all the time and for everyone! The booklet is brilliant and I think that I'll keep it somewhere accessible, even when we've used up all the materials in the box and then we'll either buy another set (£19.99) or buy more materials (probably not as I think it would be cheaper to buy a 2nd set as the £19.99 is really reasonable) as I really loved the questions that Top Ender came up with whilst we were making the Candle and the fun we had. 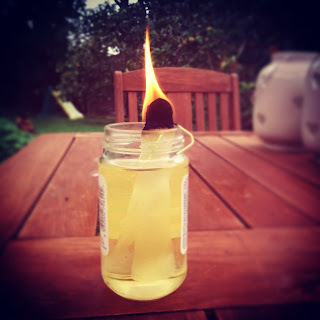 Top Ender's candle, wasn't all that good if I'm honest, BUT it was a learning curve that we can build on and it worked out well because, look it doesn't matter how bad the candle is, the wax will still burn and provide light and that is all Top Ender and I were after really! We loved the set and Top Ender even said she thinks that this is the sort of set that could really spark an interest in a hobby for many Children and an understanding of some basic Science principles, which is good, as that is exactly what I would want from a product like this!